Jay King Puzzle Agate Double-Row Necklace Solve your wardrobe puzzle with this final (and most important) piece. The neutral hues of each agate stone and grandiose silhouette add the perfect finishing touch to your sophisticated workday ensembles and savvy nighttime looks. Stone Information (all sizes and weights approximate) Color-Enhanced Agate: Freeform (18x13mm – 31x30mm); mined in India Design Information Two graduated strands of multisized, multitonal, faceted freeform agate nuggets Jay King Puzzle Agate Double-Row Necklace Details Measurements: Approx. 17-1/2″L x 1-7/8″W with 2-3/4″ extender. Jay King Green Agate Nugget Bead Stretch Bracelet Envelop your wrist in beautifully soft color. Faceted green agate nuggets create a chunky style on this stretch bracelet. Buy more than one and stack them for a layered look. Stone Information (all sizes and weights approximate) Green Agate: Nugget (16x13mm to 21x16mm); mined in India Design Information Bracelet has faceted green agate nugget beads Jay King Green Agate Nugget Bead Stretch Bracelet Details Measurements: Approx. 7″L x 5/8″W Metal Type: Sterling silver Metal Stamp: .925 (quality tag only) Additional Features: Stretch fit. This set is on clearance right now for only $66. What a great deal! Finally, we also recommend that you look at Povada Jewellers to see a fine collection of gemstones and jewels! My husband went shopping for the diamond for my engagement ring in the diamond district in New York. He and the diamond dealer were looking at stones, and the dealer kept picking them up with tweezers. Suddenly, the tweezers snapped together and the stone flew out of his grasp. No one could find the diamond, and the entire office went into lockdown. They sealed all the doors and no one was allowed entrance or exit. Finally, the jewelry dealer's daughter knocked on the door, and he was forced to let her in. Lucky thing he did, because she had found the stone just outside the door. Just today I read a similar story, with a special twist. When George Kaufman went to work at his jewelry store, he brought his golden retriever along. He was looking at stones with a co-worker, when a large diamond flew off the table and the dog, Soli, wolfed it down. All efforts to recover the stone from Soli's mouth failed, and George was forced to wait for nature to take its course. It did, and three days later, the $20,000 diamond was recovered. Somehow, I think, had my husband not found our stone, the excuse, "the dog ate my diamond" wouldn't have quite worked outâ€¦ but it would have made a great story! Photo above is from JewellersWorkshopGallery.com. We women love to dress up and accessorize. Not only do we want the right outfit for every occasion but we also want to have the right accessories (read: jewelries) to go with the outfit. However, we are also always on the look out for the best deals available. We want to look for ways we can save while being fashionable at the same time. Accessories don't come cheap after all. One way to save for jewelries and other accessories is to use the likes of sears coupon codes. Sterling silver, gem stones, and diamonds are just a few items that will go well with any outfit combination.You can always resort to the web for discount deals and bargains on your favorite accessories. So how do you manage to save up on jewelries and accessories without totally ditching fashion and quality? We'd like to hear how you find the best deals in town and where to look for it. The colors present in Ammolite are caused by light interference during refraction into the many layers of the gemstone. 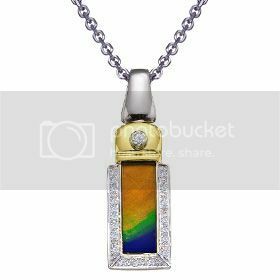 Each color in Ammolite represents a different layer of the gem material. So, depending on the number of fine layers in the rough, everything from one color to the full visible spectrum will be displayed. Since the play of light varies, every Ammolite gem shows a unique array of color. Ammolite comes in a wide variety of colors including red, blue, green, yellow, gold, pink, and many others. This ring features a luminous Ammolite set in gleaming 18k yellow, white and rose gold band. Ammolite makes a glittering addition to any jewelry collection. This 18k yellow gold pendant features a luminous Ammolite with sparkling accent diamonds (.10 ctw). Includes a 18k white gold 16" chain. 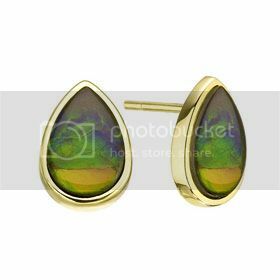 This 14k yellow gold pair of earrings features a luminous Ammolite. Complete with traditional posts & butterfly backs. Ammolite is a gemstone created from the shell of a fossilized sea creature that existed over 65 million years ago called an ammonite. Although sources of ammonite exist in other locations around the globe, it is only in one isolated region of Southern Alberta, Canada, that this deposit produces the gemstone Ammolite. Seventy-one million years of tectonic pressure, heat, and mineralization have resulted in the formation of this geological wonder. The supply of Ammolite is extremely limited, and with only one area for mining, Ammolite truly is one of nature's rarest gems. Moissanite is a created gemstone that was born from a rare geological find more than 110 years ago. Discovered by French scientist Dr. Henri Moissan, Moissanite can trace its origins to particles found in 1893 in the Canyon Diablo meteor crater in Arizona. These natural Moissanite crystals were too scarce and tiny to set into jewelry. For years, scientists tried in vain to re-create these rare and extraordinarily brilliant crystals. Only recently, through the power of advanced technology, is Moissanite now available to you. Indulge in a bit of luxury for everyday life with this .5ct round Moissanite pendant, in your choice of yellow or white 14K gold. A round, created Moissanite (approx. 5mm) takes center stage, bezel-set in an elongated U-shaped frame. The hidden bail accommodates an 18" rope chain with a spring ring clasp, which accompanies the piece. Composed of carbon and silicon, the Moissanite crystal is one of the hardest on earth, making it extremely resistant to scratching, chipping, and breaking. Unlike other brilliant stones that cloud and dull with time, Moissanite is guaranteed to never lose its optical properties. Therefore, it will be every bit as beautiful, fiery and brilliant generations from now as the day you purchase it. Available in yellow, white, or rose gold, you'll love the simple elegance of this Moissanite Round Stackable Band Ring. Four round .28ct created Moissanite stones (approx. 2.5mm) set the stage for a mood-lifting experience as they shimmer from pavÃ© settings on the ring's front. The fact that Moissanite has more brilliance and fire than diamonds, and is harder than rubies, sapphires and emeralds, is just the beginning of why people love Moissanite. 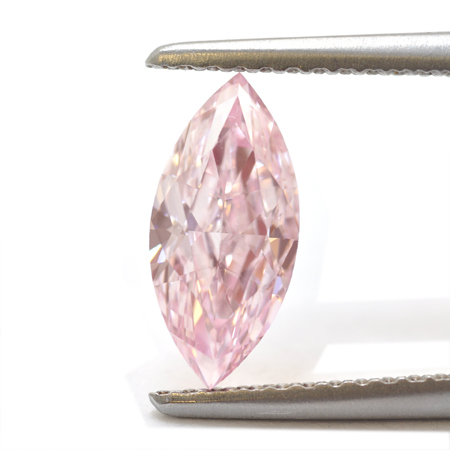 Properly cut by master cutters, Moissanite has incredible fire and brilliance, exceeding that even of diamonds. These faceted jewels are nearly colorless to very slightly tinted and are available in round, oval, marquise, pear shape, radiant cut octagon, heart shape, triangle, trillion, brilliant cut squares, and antique squares. Trendy circle pendant captures the radiant beauty of Charles & Colvard created Moissanite. Combining 21st century science and the age-old art of fine stone cutting, today Moissanite is created in all its original wonder and available to the world in exquisite rings, pendants, earrings, brooches, and bracelets. The finest jewelry fashioned by old-world craftsmen is today adorned with gorgeous Moissanite. 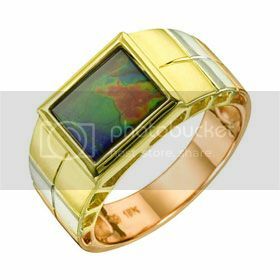 Classic designs in gemstone jewelry will be the hot trend for summer 2008. 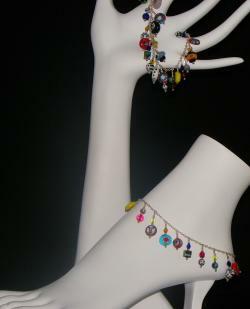 The bright colors in fashions also translate to colorful jewelry. A large gemstone ring in a bright candy color, whether real or costume, is an evening-out staple. Or, a more intricate design might be exactly what you need to give your flirty dress a down-to-earth feel. An emerald cut AA quality 7×5 millimeter aquamarine is perfectly solitaire set in 14k yellow gold and comes with 14k yellow gold 18" rope chain. And the hottest color in summer jewelry will be blue. With its stylish staying power, blue tones will always be a perfect fit! 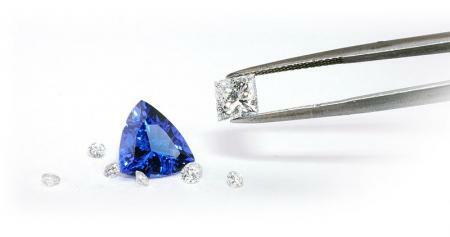 Blue gemstones like sapphire, tanzanite, aquamarine, and blue sapphire will be very popular. Blue jade, moonstone, lapis lazuli, and blue opals will also be seen in a variety of jewelry designs. Handmade lampwork beads in blue and blue cubic zirconia are also excellent choices. With a full range of shades of blue, you can match the best one for your style. One amazing topaz stone is held beautifully by 14k white gold to create a stunning ring. Diamond highlights add to the beauty. Blue will be followed in popularity by purple and green. And the gemstones that will be most popular are amethyst, peridot, green garnet, and emerald. And if you're looking to complement your gemstone pendant or earrings with other gems for added color, you can choose from citrine, yellow topaz, amber, and colored diamonds. All of these gorgeous colors will coordinate beautifully with summer clothing. Purple teardrops in your ears. These 14k white gold amethyst teardrop earrings make a terrific accessory. If you want less expensive jewelry, look for sterling silver – an alluring substitute for white gold. The cool hue of sterling silver combined with the warmth of colorful gems create an enchanting look. If you can't quite afford the genuine gemstones, you can find terrific deals in the colors of cubic zirconia. Not only is this stone created to imitate a natural diamond, but it can also be colored to mimic a variety of other popular gemstones. This ring is high polish sterling silver comfort fit & is uniquely designed with three pairs of marquise cut peridot that looks like three pairs of leaves. If, on the other hand, you buy only what you like and don't cater to current trends, you can still enjoy knowing what's in fashion for the upcoming season. If you already own blue topaz, aquamarine, blue cubic zirconia, peridot, or amethyst, you can take great pride in knowing that your choices in jewelry are what everyone will be searching for this summer. Buried deep in the heart of the australian outback lies an elusive gem that entices men and women to give up the city and head for the outback, affectionately known to Australians as the bush. Now, life in the bush has great appeal. The air is fresh, the sky is blue by day, and like a diamond-studded blanket at night. At times though, you have to endure the dust, the flies, the heat, the cold and the rough outback roads. If you are infected by the Opal bug, you are willing to endure all these hardships, because if you happen on one of these amazing stones, you will be rewarded with one of the rarest of God's creations. It's as though some talented artist dipped his brush into the palette of the spectrum, splashed it across a meaningless rock, and transformed it into a masterpiece. The varieties and patterns in Opal are endless, and the combinations of colors are in the millions. Inlaid Australian Opal dotted with Diamonds for the perfect sparkle. 14k yellow gold, 1 inch in length and 1 inch in width. 18-inch 14k yellow gold chain. Opal has been mined worldwide, but Australian Opal accounts for 96% of all commercial Opal and is the main source of precious Opal. Australian Opal is mined in many locations throughout New South Wales, Queensland and South Australia. It can form in vertical or horizontal seams in the sandstone as well as in fossilized formations. Because of the unique conditions under which Australian Opal is formed, it is nearly impossible to find two Opals exactly the same. 18k Yellow and White Gold. Crystal Opal has a degree of transparency which allows the colors below the surface to be visible. Some believe the crystal varieties to be the most beautiful. Crystal Opals can be either light or black crystal. By definition, Crystal Opal is any Opal clear enough to read through against a light surface but colors spring to life when viewed on a dark surface. Doublets are Opals that have been glued together to imitate the appearance of Black Opal. When a slice of Opal is glued to a black backing, it causes the color to become much darker and more vibrant. Thus, doublets contain only a small amount of actual Opal, and therefore, are much less valuable – but still beautiful. Make no mistake about it, these can be some very pricey gems, but the colors are stunning! This is part of the semi-precious topaz gemstone collection called 4 Elements by Nomination. Coming out of Italy, of course, you can expect some beautiful craftsmanship. I found this and loads of other pieces for Nomination at an Ebay store of all things, called Just Originals. I guess shoppers can buy cars on Ebay, why not high-end gemstone jewelry as well? Of course, the site is Italian, and even though I used the translation option in Google, I still really could understand what it said, but you don't have to read to appreciate this jewelry.